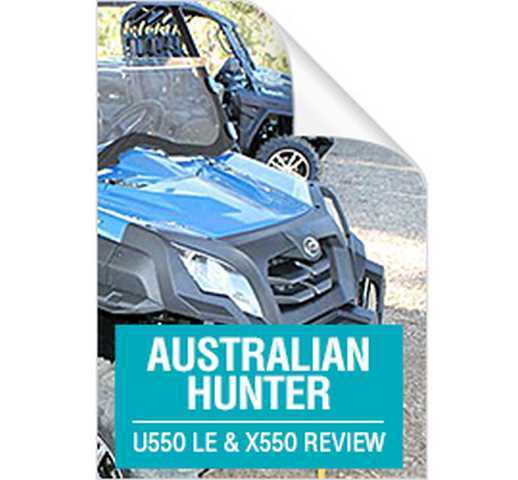 We sat down with avid hunter and South East Queensland CFMoto dealer, Grant Martin at Gatton Powersports to discuss why he thinks the U8LE makes the perfect off road hunting vehicle. 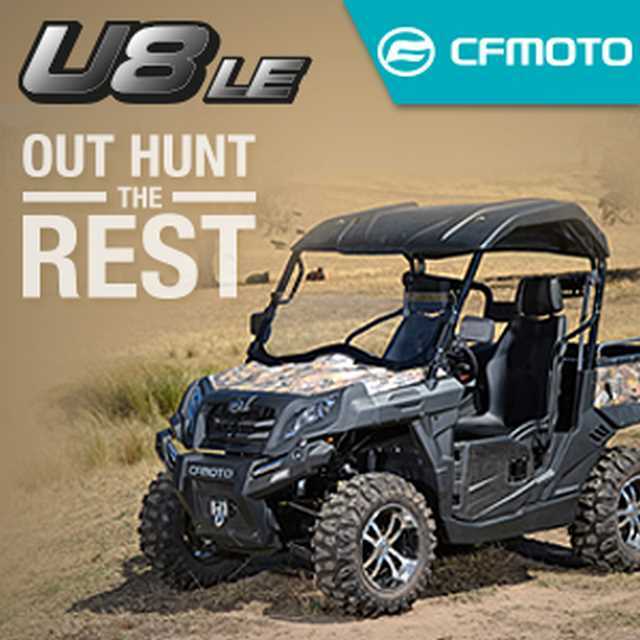 The following are 10 great reasons to choose the U*LE as an off road hunting vehicle and also give you an idea of the type of features to look for when exploring options for your off road hunting vehicle. Good size tray – The U8 has a 500kg load limit, perfect for man’s best friend and all your hunting gear. Flat floor – The U8’s flat tray means no more tripping over wheel arches and the poly lined floor allows for easy cleaning. Storage capacity – The U8 has great storage options, like a glovebox, extra shelf, 20 litre compartment under the driver’s seat and a small compartment under the bonnet for the first aid and snake kits. Accessories – Multiple 12 volt sockets are great for night lights and charging your electrics. A tow hitch is good for hauling water and firewood around the campsite and a half windscreen is great for bracing and shooting. It’s also a decent replacement if you don’t have a shooting bar. Speed – With hunting often taking you to far away corners of the country, speed is an important consideration to get you further, faster. Fuel range – Good fuel range is essential and you don’t want to have to haul around excess gear. The U8 will give you around 100kms on a single tank of fuel. A strong winch – For getting you out of those sticky situations when you’re out in wet or bracken country. Even if there are no trees, a star picket and a good winch will get you out of any situation. Ground clearance - To help guide you across those ravines or scrubland, good ground clearance is essential. Aim for a minimum of 280mm. Good quality tyres – Six ply tyres are the minimum recommendation, especially if you are hunting in rough terrain. 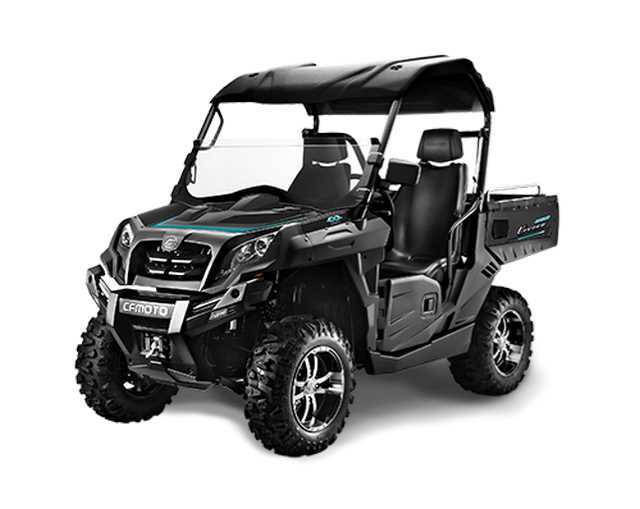 Comfort – This is where CFMoto side by side vehicles shine. Six hours in a buggy, navigating hard terrain can be made less tiring if you have a good seat, smooth suspension and shocks. Bench seats are great for farming but the sliding around when you are travelling at speed can be uncomfortable for you and your mates.